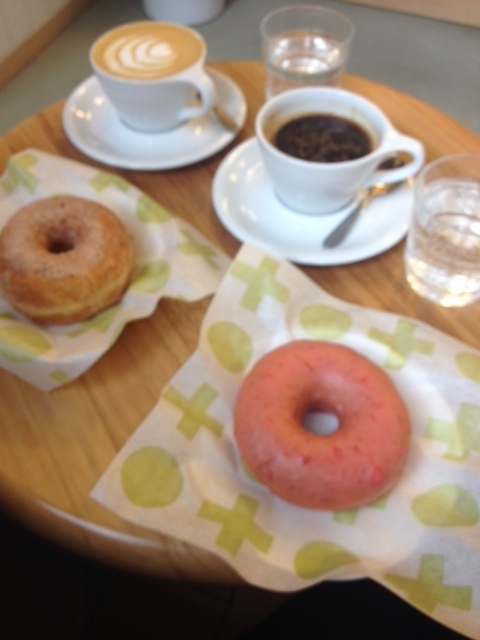 The friendly invasion of ‘American style’ bagels and doughnuts (or donuts if you want to be really American) across hole-in-the-wall style cafes started well before the bricks and mortar had set on new locations around Melbourne. For many years, half-fast imitation food with a missing middle has been seeping into the Australian market but little effort was made for genuine flavour until expatriates yearning for food of the motherland started to branch out and capture a widening gap in the market. 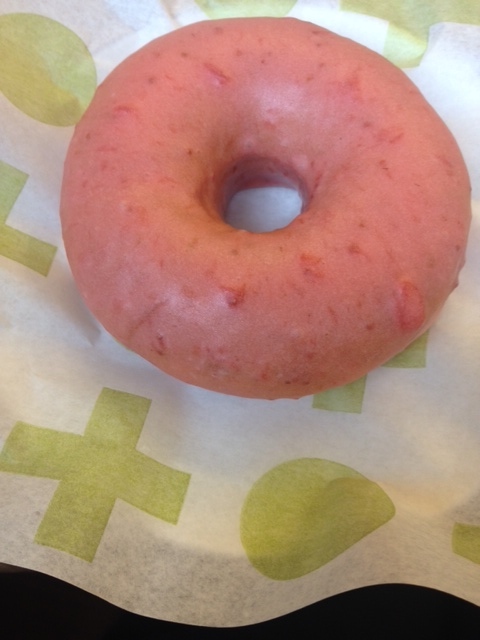 Short Stop’s finest, Strawberry and lime doughnut with cinnamon, cardamom and sugar with batch brew coffee. The story goes a little something like this; ‘ I don’t like the bad bagels/doughnuts on offer in Australia (read Melbourne) so I’m going to convert my garage into a warehouse and make my own to sell at hipster markets and wholesale to cafes around town’. Then surely enough, with hype from our friends at social media, pop-ups became more popular and stocklists became too big for one guy and his garage to handle. So with anticipation, for well over a year, ‘coming soon’ was splatted across Instagram with excitement the size of a Royal birth that grew across the network and then, surely enough… the ‘we only sell one thing’ stores started to arrive. 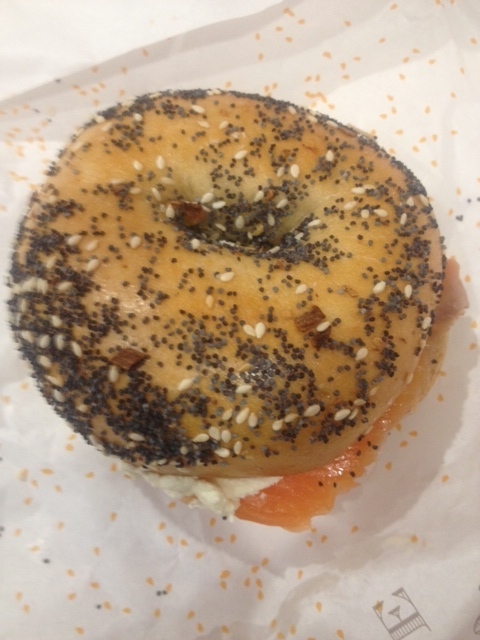 The bagels at 5 and dime are the perfect combination of light bites of fresh bread with a dense cake-like texture. In true New York form, the detail is in the basics with plain, sesame, poppy seed, onion, rye, salt, dill, cinnamon and raisin and naturally, everything on offer. Keeping things simple, you can smear spreads from cream cheese, butter and ‘PB&J’ to bacon maple, strawberry, garlic and chive and smoked salmon cream cheeses as well as tomato, onion, pickled shallots, capers, avocado and salmon and of course, don’t forget the vegemite onto the freshly cut halves. On the other hand Short Stop is overloaded with bursts of bold flavours; sweet, savoury, flowery and salty. From fluffy and pillowy to glaze drenched, crispy and filled doughnuts, with flavours including strawberry and lime, bourbon creme brûlée and earl grey and rose. Both serve up the very best from the Melbourne coffee scene, with a serious emphasis on batch brew and filter coffee as well as mild espresso options. They may be an American basic food group but both stores have put an Aussie spin on a traditional favourite that is well worth revisiting.